Turner is continuing to invest in resources that allow agencies and marketers to have access to powerful insights resulting in stronger business outcomes. As part of that effort, today it was announced that Turner Incite, the company’s core intelligence platform for advertising sales, is now fueled by the specific advertising sales technologies of the IBM Watson platform and advanced predictive analytics from MarketShare, a Neustar solution. The addition of the cognitive solution tool –marks a first for broadcast advertising sales, while the partnership with MarketShare builds on the breakthrough planning and forecasting offerings the companies launched in early 2015. Turner Incite is an advanced intelligence platform built by Turner and now powered by IBM Watson and MarketShare to provide a next generation approach to client insights and industry intelligence. The tool fuels a recommendation of best advertising solutions that will lead to the highest impact for a marketer’s key business objectives. Turner has aligned with IBM to develop a cognitive business tool and solution recommendation engine. 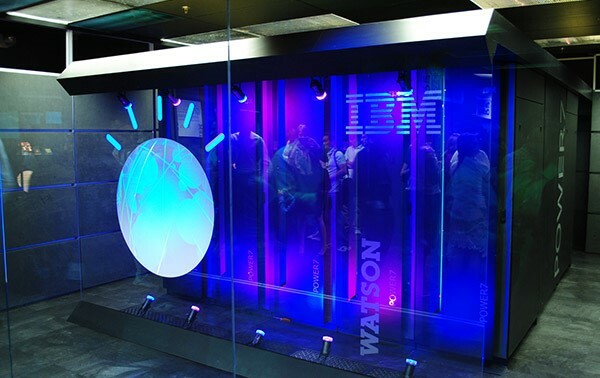 IBM’s state-of-the-art cognitive technology enables greater collaboration between humans and systems, providing the ability to communicate in natural language and analyze massive amounts of data to deliver insights more quickly. Turner will also continue to utilize Turner Investment Advisor (TIA), by MarketShare, a planning and allocation investment tool that optimizes budgets and quantifies the P&L impact for marketers, leveraging billions of market observations and measurements. TIA recommends the most efficient allocation based on business target goals to drive the highest impact on sales. Building on last year’s partnership, Turner will now expand intelligence to double the amount of categories in 2016. To help bring Turner Incite to life for clients, Turner has appointed James Russo to the newly-developed role of senior vice president, Client Strategy & Development. Reporting to Strober, Russo will closely align with Turner’s Client Insights group, a division within Turner Research, to make recommendations to clients based on an insight-driven selling approach. This highly-critical leadership position will focus on account planning and strategy for clients, aligning with the sales teams to build out client specific strategies utilizing insights and analytics. Russo makes up the second half of the Client Strategy and Ad Innovation team, under Strober. Dan Aversano continues as senior vice president of Ad Innovation and Programmatic Solutions, as announced in last year’s sales division restructure. “With James’ vast experience across marketing, sales, client development and thought leadership, he will play a vital role enabling clients to build out their strategies utilizing these tools,” added Strober. MarketShare, a Neustar Solution, combines advanced analytics technology, scientific leadership and deep domain expertise to enable large companies to measure, predict and dramatically improve Marketing’s impact on revenue. MarketShare’s clients use its analytics and tools to direct tens of billions of marketing investment dollars globally. Learn more at www.MarketShare.com. Turner Ad Sales monetizes the company’s portfolio of leading news, sports, kids and entertainment properties through advertising and brand activations. Attracting a wide-scale audience of diverse consumers, the collection includes leading media brands CNN, HLN, TBS, TNT, truTV, Cartoon Network, Boomerang, Adult Swim, Bleacher Report and Turner Sports’ high-profile coverage of the NBA, MLB, NCAA and PGA. In addition, the company has digital sales partnerships with the NBA, NASCAR, NCAA and PGA.